Mike’s built his company, A+ Insulation, from the ground up. In 2004, he started the company by offering insulation for attics in existing homes. 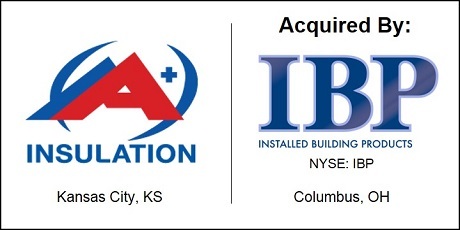 Thirteen years later, A+ Insulation now serves the greater Kansas City metro area with a variety of insulation services for both residential and commercial buildings. IBP is a big player in the insulation and building products industry. IBP is a publicly-traded company based in Columbus, Ohio. It installs insulation and other products, like waterproofing, fire-stopping and fire proofing, in residential and commercial building projects. IBP manages the entire process from purchase, transportation and installation of materials. After going public in early 2016, IBP has been aggressively moving into new geographical markets through strategic acquisitions. As members of the same Vistage group, Kevin and Mike have known each other for a couple years. So, when conversations with the industry giant started Mike knew it was a good bet to get Kevin on board. Mike continued negotiations with IBP and the deal closed with very few hiccups. IBP was a no nonsense buyer. At the beginning of the process, Kevin took Mike through the challenges of working with a strategic acquirer, laid out the potential issues and explained best steps to avoid them. 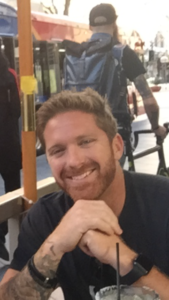 Mike took the advice to heart and walked through the selling process with ease. Mike’s deal was a 100% buyout, asset purchase. The deal closed on October 31, 2017.